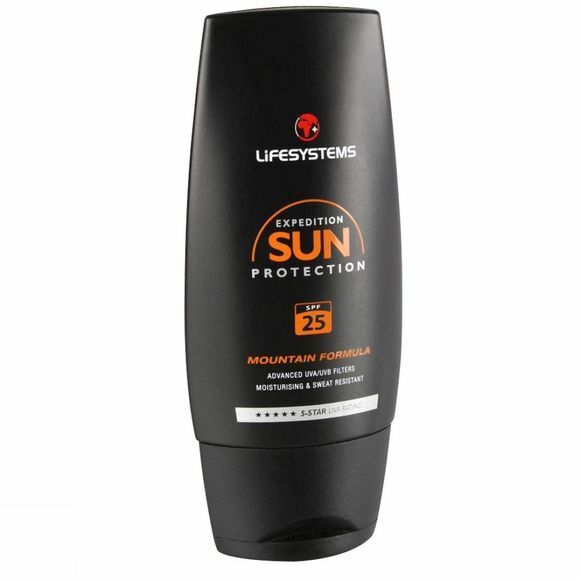 The sweat resistant Mountain Formula SPF 25 is ideal for use at high altitude. This long lasting cream is broad spectrum providing SPF25 against UVB rays and 5* protection against UVA rays. The 100ml bottle is specifically shaped to fit into pockets.